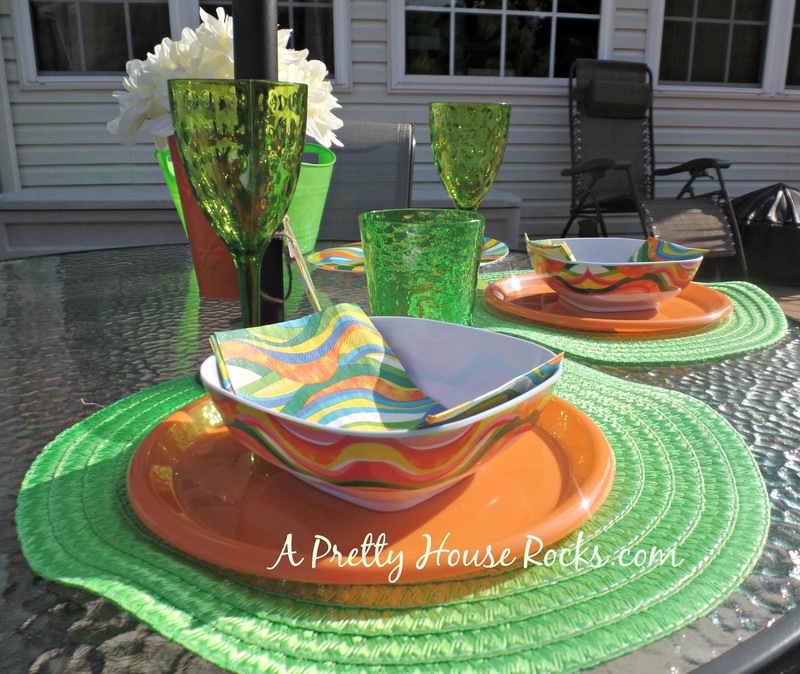 Throw a Stylish BBQ with Outdoor Tableware from the Dollar Store! At my house we love to throw BBQs, that's what summer is all about right? But they can be costly to decorate. 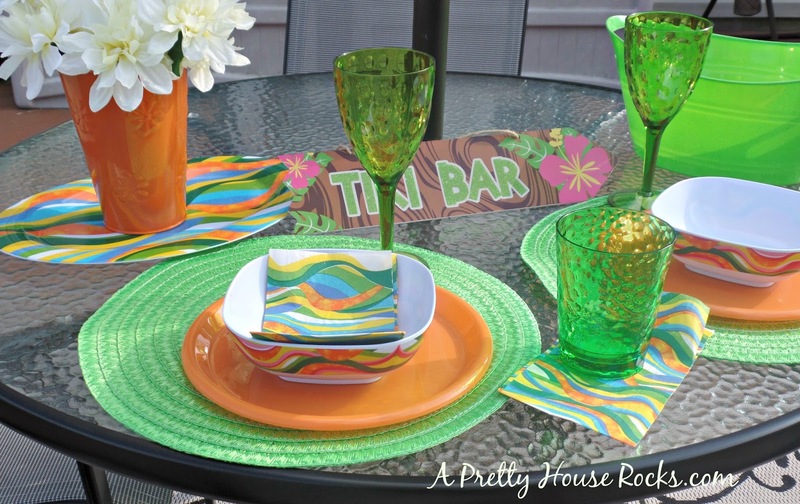 I was in the Dollar Store the other day and could not believe how stylish the outdoor tableware and decor was! 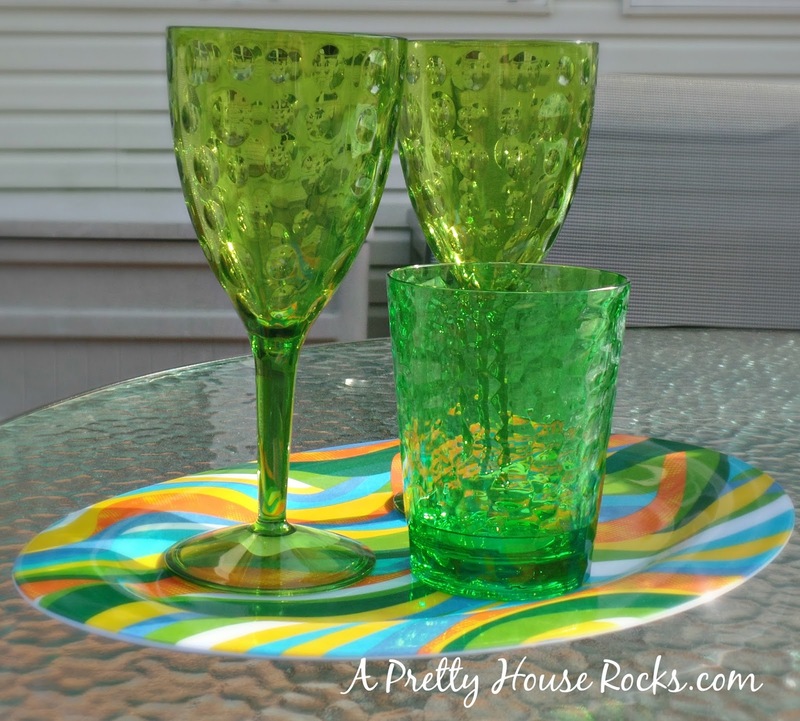 There was a range of colors and styles of margarita glasses, bowls, plates, wicker charges, serving platter, ice buckets and the list goes on. I purchased all of these items for under $20! You can mix these items with your more expensive ones...or you can simply use all of them...no one will no the difference. 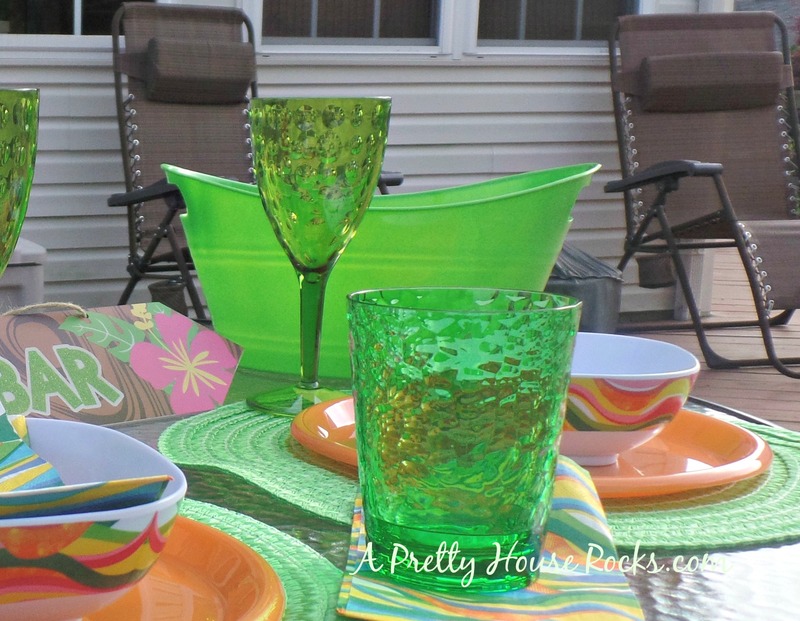 My other post: Quick Outdoor Patio Table Ideas includes items that were definitely more expensive than the Dollar Store..How do you think they compare? What a great way to save money this summer. I hope these pics inspire you! 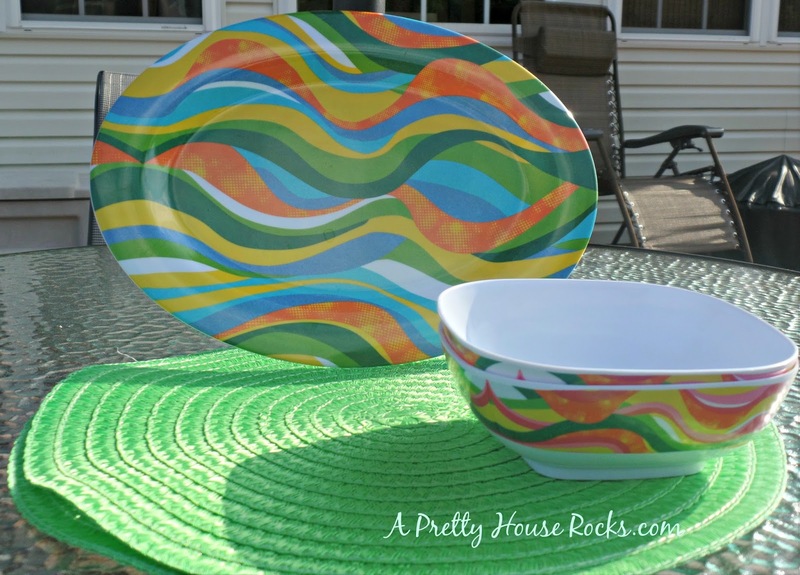 Thanks for visiting a A Pretty House Rocks.com! DIY Canvas Painting for the novice in all of us!